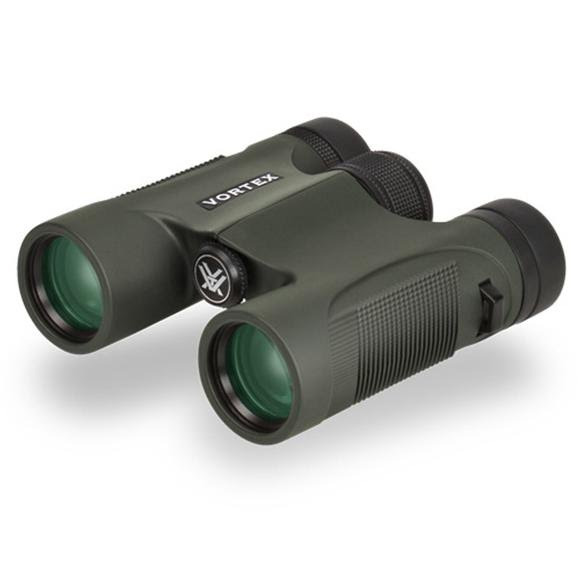 With the compact Vortex Diamondback 10x28 Roof Prism Binocular, small size doesn't mean small performance! Like its namesake, the Diamondback rattlesnake, this pocket roof prism binocular packs a lot of wallop into a slender package. With the compact Vortex Diamondback 10x28 Roof Prism Binocular, small size doesn&apos;t mean small performance! Like its namesake, the Diamondback rattlesnake, this pocket roof prism binocular packs a lot of wallop into a slender package. Featuring fully multi-coated optics, phase correction coatings, argon gas purging, and a unique checkered rubber armoring, the compact Diamondbacks don&apos;t trade performance for small size.